The beauty of silk rugs is simply breathtaking. You can marvel at their softness, natural gloss and intricate color patterns for hours. But do you know how to care properly for your rugs? Consider a set of tips which will help you keep them in perfect condition. The first thing you need to know before you begin with silk rug cleaning is that these items have gentle fibers and wave and may not be able to withstand the powerful suction of modern vacuums. That is why you should consider using a carpet sweeper for removing dust, dirt and debris on a weekly basis. If you prefer vacuuming, it is best to use a canister vacuum. The key thing is to adjust the beater bar to the highest possible setting. 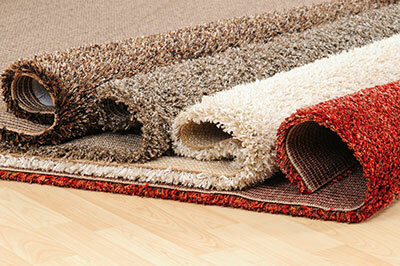 You should vacuum the rug from both sides several times a year to achieve excellent results. Even with regular vacuuming, dust and dirt particles still get down the fibers. This has an adverse impact on both the look and feel of the item. Washing will help getting rid of the problematic particles. It is best to turn washing into a regular routine. Even if your rug doesn’t look dirty, it most likely is and should be taken care of. Perhaps the most important thing to keep in mind is that washing silk rugs isn’t a DIY task. This is especially the case with antique Oriental rugs. Specific techniques and products are used for getting the dirt out without damaging the fibers and the dye which are usually both organic. You don’t have to be a specialist to realize that even the slightest chemical imbalance can cause damage. Now that you know what dirty rug cleaning is all about, you should learn a few important things about drying after washing. Washed rugs must never be left on the floor. It is best to hang them so that they can dry naturally. You must not keep them in the sun to prevent an adverse biochemical reaction. How about stain removal? Blot the stain gently with white kitchen paper towel. Don’t press too hard initially as the stain may spread. If water doesn’t help, it’s best to refrain from using substances which aren’t formulated especially for removing stains.